Read and discuss the best of today's Virginia literature—books by Library of Virginia Literary Award winners and finalists in fiction and nonfiction. On the second Wednesday evening of each month, join us for a book discussion with light refreshments, additional historical context, and even occasional author visits. This month, discuss Code Girls by Liza Mundy (2018’s Nonfiction Award winner and People's Choice Nonfiction Award winner), and pick up March's book, Fire Is Your Water by Jim Minick (a 2018 Fiction Award finalist). Loaner books available. For more information, contact Nan Carmack at nan.carmack@lva.virginia.gov or 804.692.3792. This event has been postponed until October 3rd and 4th. The Library of Virginia's exhibition New Virginians: 1619–2019 & Beyond has inspired the storytelling organization Secretly Y'all to seek out immigration and emigration stories for its February event. They're looking for stories of the journeys that brought people here: What did it mean to leave one place behind to come to a new one? What had to be left behind in order to do so? What’s it like using English as a second or third language? How did you make a home, a job, a life here in this mid-Atlantic state? Why did you choose the commonwealth? Is there a difference between what it means to be American versus what it means to be a Virginian? If you are a second- or third-generation member of an immigrant family—or even a fourth or fifth—what made your home, upbringing, or experiences unique from others you observed around you? 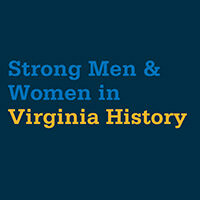 Come out to Ardent Craft Ales on February 25 to hear fascinating stories, taste delicious beer, and learn more about the Library's New Virginians exhibition, created in partnership with Virginia Humanities and a Legacy Project of the 2019 Commemoration, American Evolution. Doors open at 5:30 PM, stories at 7:30 PM. If you have a story you would like Secretly Y'all to consider, please e-mail a short synopsis and a brief personal bio to secretlyall@gmail.com. Since this is a special event, storytellers will have up to 10 minutes to share their stories. For more information, visit www.secretlyall.org. Kick off the summer reading season with the latest crime thriller from international best-selling author Brad Parks, part of the 2019 Carole Weinstein Author Series. A former journalist with the Washington Post, Parks is now a full-time novelist living in Virginia—and the only writer to have won all three of American crime fiction’s most prestigious prizes: the Shamus, Nero, and Lefty awards. His latest book, The Last Act, tells the story of a fading Broadway star who goes undercover for the FBI, spending months in prison acting as a failed bank robber in an attempt to take down a Mexican drug cartel. If he’s successful, the FBI will give him $300,000—more than enough to jumpstart a new life. But does he have what it takes to pull off one final role? The novel “packs on the suspenseful surprises and plot reversals that made Parks a mainstay on the best-seller lists,” according to Library Journal. A book signing will follow the talk. 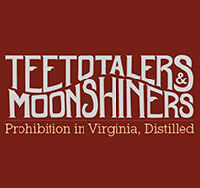 For more information, contact Emma Ito at 804.692.3726 or emma.ito@lva.virginia.gov. Read and discuss the best of today's Virginia literature—books by Library of Virginia Literary Award winners and finalists in fiction and nonfiction. On the second Wednesday evening of each month, join us for a book discussion with light refreshments, additional historical context, and even occasional author visits. This month, discuss Sargent’s Women: Four Lives Behind the Canvas, by Donna M. Lucey (2018’s Art in Literature: The Mary Lynn Kotz Award winner), and pick up July's book. Loaner books available. For more information, contact Nan Carmack at nan.carmack@lva.virginia.gov or 804.692.3792. 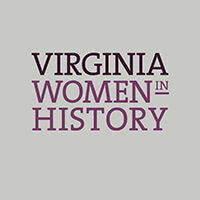 All participants in the Library of Virginia's Making History: Transcribe project are invited to join us for a day of archival insights, tips on advancing your skills in reading old documents, and information about Virginia during World War I. We'll also be transcribing, of course. Coffee and lunch are provided—and birthday cake too! These hours can be counted as community service through the HandsOn platform. Closed to prepare for our annual Literary Awards Celebration. Mark your calendars and save the date for our 22nd annual celebration! Look for more details to come. Closed for the Anthem Richmond Marathon in downtown Richmond! Closed from noon on November 27 through November 30 for the Thanksgiving holiday. See the online exhibition at www.virginiamemory.com/truesons.